We went to Breckenridge today. 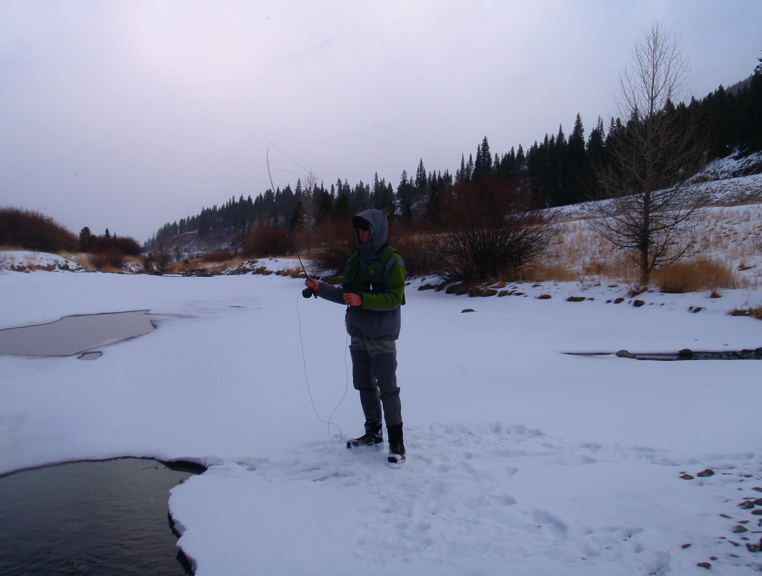 The forecast was for blue skies so we brought our fishing equipment in case the snowboarding wasn’t too great. Of course once we drove through Eisenhower Tunnel, it was snowing. Sweet! The snow got better as the day went on. Lando hung out in the car so every three runs we hurried back to check on him. He mostly slept and seemed a bit bothered that we dragged him out to pee and eat. After a few hours, we decided to get some fishing in. There were some decent sized fish that we could see, but they weren’t eating anything that we were throwing at them. We fished “the steps” of the Blue River near the elementary school. I couldn’t feel my fingers so it made it difficult to tie flies on after a few minutes. Realizing later that I should have been using worms or egg patterns, I know I could have caught those fish! Headed back to Boulder, we wanted to get some buffalo wings. We called our favorite place The Lazy Dog to find out if their prices were comparable to Harpos. On the phone, LD told us that we could get their wings to go at happy hour prices. Awesome. So we called when we were closer to place our order. Now we were told that we would have to pay full price. WTF? So we showed up and explained that we were promised happy hour prices for to go wings. The manager said that the server was an idiot. I said that wasn’t my problem, but I was promised some wings at happy hour prices, to go. She explained that they don’t make any money on the actual wings and it is supposed to bring people in to drink. I sat at the bar and ordered some wings at happy hour prices. When they were delivered, I put them in a box and left. Maybe I am on my high horse, and please someone put me in my place, what should have happened? Email me if you don’t want your answer published. The wings were delicious and we enjoyed them in our home. Last week, we ate at Southern Sun to celebrate Mojdeh taking her LSAT. We called to ask if their patio was open (it was sunny, but had snowed earlier in the week and we wanted to bring Lando) and we were told that they could accommodate us. Upon arrival, a manager told us that the patio was closed for the winter and it was dangerous because of ice forming. However, because we were promised to be able to sit outside, he shoveled snow, wiped tables, and chipped away ice to let us sit outside. We will be back there! 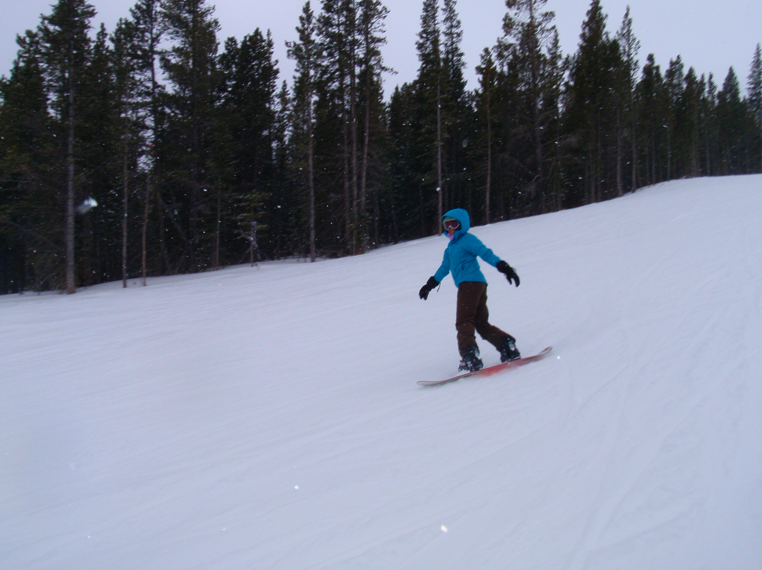 This entry was posted in Blue river, Boulder, fly fishing, snowboarding by Rory. Bookmark the permalink.